Chris Samnee: DD vs Black Widow up for auction! 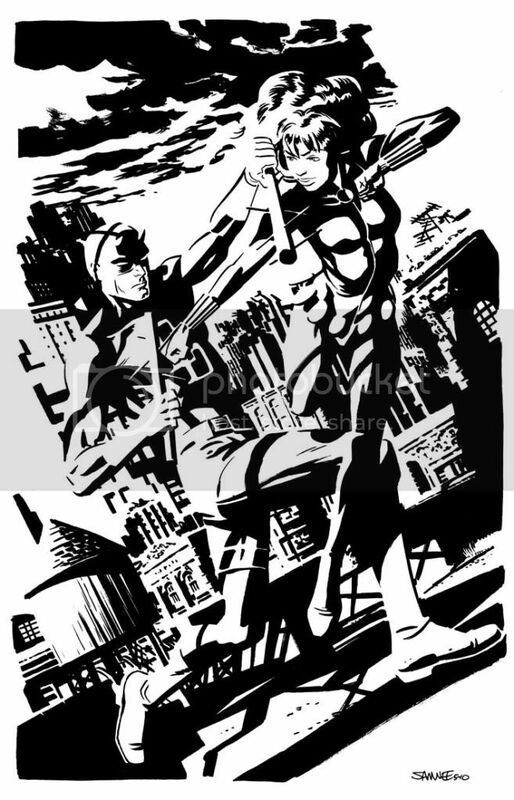 This Daredevil vs. Black Widow piece is now up for auction to benefit Hero Initiative. Hero Initiative is an awesome cause, so please bid often and bid high!!! Awesome! I miss your sketches on the blog, but I guess that means you're busy with real paying jobs so no complaints really. But please let us know when you can what these jobs are. Color me curious. If only I were a rich man...what a beauty! With 6 days to go in the auction, it looks like it's already fetching a rather hefty bolus of income for the Hero Initiative. Good for you, sir!